Christoph Ostermann and Torsten Stiefenhofer founded the company in 2010 as a GmbH (German limited liability company). The legal name of the company at that time was PROSOL Invest Deutschland GmbH. In December 2013, the shareholders' meeting decided to change the company name to Sonnenbatterie GmbH, in order to adopt the name of its product range and to support the goal of internationalization. 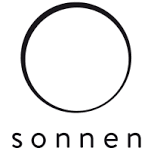 Since November 2015, the company has operated under the name of Sonnen GmbH. Sonnen serves as the umbrella concept under which all the company's individual activities are organized.